Using time more efficiently is an important skill that we all can learn. After all, who doesn't want to figure out how to get more done or get things done more efficiently? 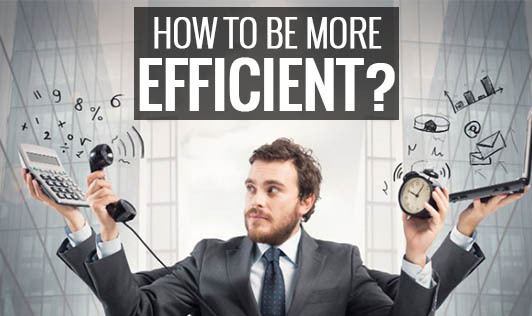 Learning to be more efficient at home and at work will help you maximize your free time, making you more productive and satisfied. • Boost your energy by getting enough sleep, eating well and taking short breaks to walk or breathe. • Make a list, not a schedule. Itemize things that you would like to accomplish including both professional and personal tasks. • Stop aiming for perfection as it often leads to poor relationships, procrastination, depression, low productivity, stress and anxiety. • Focus on manageable, self-imposed deadlines and the task will naturally break down into manageable chunks.